There is a seismic shift happening in the wine world right now. Of course, there have been slowing sales as in many other industries. But the sales have only snagged on specific wine categories. Namely the high-end blockbuster wines. The same wineries that you couldn’t even get on the waiting list for 12 months ago are now having firehouse sales. These wines have been cult favorites for years. They tend to be big and brawny and therefore have received high scores from the critics. These wineries have two problems now. First is the obvious recession and lack of consumer funds for luxury items like high -end wines. That is a relatively temporary issue. The second and far more pressing problem is the changing face of the wine consumer. The Boomer generation was hit hardest by the stock market dive and seems to have the tightest belts in terms of spending right now. This is the generation that grew up to believe that wine is a sophisticated, luxury item and that wine critics scores were very important. Gen X and the Millennials are still in career ascent mode are less afraid to spend their money. Recent research by Wine Market Council suggests that these generations have shown a marked interest in wines with a story and imported wines. They also are more interested in finding out about wine online, via user reviews or even the winery’s own website, than they are in wine critic scores. They do not see wine as a luxury but an everyday meal accompaniment. These new wine consumers want to learn about lots of different wine regions, not just Napa and Bordeaux. They have forced the wine trade to take the natural and organic wine category seriously, because these wine lovers care about the earth and about what they put into their bodies. I attended a wine dinner in Los Angeles recently and was acting as the wine “expert” for the evening. There were two long tables at the event, which was produced by local caterers ProvisionsLA. One table had almost all of the diners less than 45 years of age and the other had primarily Boomers. The younger table was mostly interested in where the wines came from and which foods matched well with it. In contrast, as I approached the other table, an older man exclaimed, “I know all about this wine.” I asked him to please share his knowledge with all of us. His reply? “I know this wine got 91 points in the 2006 vintage.” That was it. That was all he knew. I was visiting Pourtal Wine Bar in Santa Monica recently. The sommelier, Rachel Bryan, has put together a very interesting and diverse wine list. Rachel used to work at Chambers Street Wines in New York, which is well known for its natural and organic wine selections. Pourtal has wines aged in amphoras from Georgia, a wonderful selection from Louis/Dressner Selections and natural wines made here in California. 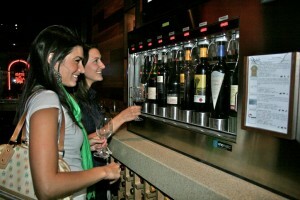 They also have a few of the conventional and well-known brands of wines from Napa and beyond. Rachel told me there was a definite difference in how the wine consumers behave. The older wine enthusiasts tend to come in and ask for a specific cult Napa or Bordeaux wine that they already know. The younger consumer asks Rachel for recommendations and is more willing to experiment with wines from around the world. 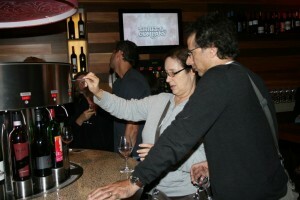 She said the younger consumers are also increasingly requesting natural and organic wines as well. This new wine consumer does not gain prestige through buying the most expensive bottle on the list. She wants to buy the most interesting wine and be able to tell about the wine’s story, not its score. And I used “she” on purpose since 64% of wine purchases are made by women, according to the Wine Market Council. – Amy Atwood: Wine Lover. Wine industry sales specialist, communicator and dealmaker since 1996. Organic and sustainable focus. Blogging at My Daily Wine. The same folks, regardless of age, who were into whatever was “alternative music” in their teens (from BeBop to Tropicalia to New-Folk), use Macs and drive Volvos want wines with a story and some authenticity and are at least open to natural / biodynamic / orange wines. The same people who were all about cliques and status and corporate rock and such in high school need to drink something that will validate their place in the herd when someone else sees the label. I agree with the comment from Roberto. Maybe because you are the age of the people with whom you identify you are viewing us “boomers” in a stereotypical way. Excuse me for being over 50, but that does not mean that I am not intrested in the way wine pairs with food, interesting and offbeat grape varieties, organic, sustainable and biodynamic wines. I think it is wrong and borders almost on the discriminatory to classify wine drinkers by their age. Age is a fuzzy thing with wine. In my wine events I do see patterns similar to what Amy writes about here, though no doubt Robert sees different patterns in his store — perhaps because Wie Expo naturally attacts the adventurous and open-minded, as opposed to ratings cherry-pickers. The tendency of Boomers to think scores count for knowledge is perhaps a result of the era in which they started getting into wine, namely the 1990s when WS and RP were revered. Similarly, I would expect the majority of people attending the WS Experience this weekend in NY are Boomers. I agree that it is not always a matter of age but it is a matter of changing wine tastes and trends, therefore somewhat generational. Clearly, there are many Boomers who do not rely on scores and also drink wines from diverse regions. Hi Amy – I’ve been working and studying this issue as you know for the past several years and here’s what I’ve found. Those consumers born before 1965 drank wine when they were young to get drunk, then learned about it as they went to college, back-packed through Europe and set up their first apts. They used they used the empty bottles to put candles in and popped champagne on special occasions. As they grew more sophisticated, they started learning about food and the gourmet food culture of the early 80s made them be more curious about wine so they started learning about it. The shopping for Premium Wine was mostly done by men who picked up their ‘Spectator’ as they shopped around their local store. The women who started learning about wine during these years mostly did so because they cooked, chose the restaurants and planned vacations to France, Italy and beyond. This generation (and yes, I’m one of them) wasn’t particularly curious about the wine they were drinking – and their interest in new regions, new varietals has been something that has developed in the last 10 years. They tend to look at the familiar names on a wine list vs. being adventurous. On the other hand, those born since 1980 – and later – were born into an era where people are more curious about the wine they drink, there is more information available for learning about wine and the internet has made it easy to do research. Our surveys have shown that they look at Wine By The Glass in restaurants or wine bars as THE BEST way to learn and are disappointed when predictable or familiar choices are offered. They don’t really entertain at home so they learn about wine from going out and since they usually rent vs own those under 30 are buying for drinking vs collecting. They LOVE to go to wine tastings where they have the opportunity to try different things and will change the name of their favorite wine as frequently. They are extremely price sensitive and will continue to look at wines under $20 (or $15)as their sweet spot. I’m sorry, but this is not news. There have always been customers who bought wine for status, there have always been customers who bought for value, there have always been customers who bought wine to meet specific requirements (“I’m making Coq au Vin,” etc.) and there have always been customers who wanted something new and different. The proportions may change, but the motivations don’t. Maybe it is an an age thing. Maybe it is a refreshing approach to a beverage that has been in prominence for all of your life, assuming you are a Millenial. And for those of us Boomers who discovered wine somewhere in our 20’s, then this current younger consuming group came to the topic earlier in their lives and differently from us. Neither good nor bad, but different. But the last question in the article puzzles me. “…will wine producers and the trade adjust accordingly?” Adjust what? The beverage is there. The vines are planted. The winemakers are doing their mostly excellent work. What is there to adjust to “satisfy” a market that seems to like matters where they are? It’s a different approach from one generation to the next, but the wines remain the same. Unlike when the Boomers decided that wines of this varietal from this particular place were in line with they like(d), the Millenials are drinking the result of that editing process. It continues, but large adjustments are not needed. Tweaking is good, and progress with baby-steps is good. Very interesting discussion. I have to agree with what Roberto started. It’s really about those who zigged while everyone else zagged. I’m a baby boomer, and I’m over 50. I’ve never had Silver Oak or Screaming Eagle. I’ve been in a ridiculous number of barns and old shacks where someone with a passion was sharing their wine. I don’t think any of the behaviors that the folks who have commented on are peculiar to any given generation. Every generation has their ziggers and their zaggers. I backpacked in Europe in the 70’s, and my 401k got whacked, the difference is how I define myself and live my life. My name is Wine Dog and I’m a zagger. As a person who have relatively recently entered into the wine business, I have a pretty first hand look at industry. It is obvious that every one who is classified as a given generation is not going to have the same thoughts. I am a Millennial and am intensely curious about wine and everything it has a to offer — but I also focus on the classics. Obviously, there are a great deal of “boomers” who are curious about learning new aspects of wine, tasting new varietals, etc. That being said, I agree with Amy’s article 100%. Millennials are more likely to go out to young, hip places which are more likely to serve interesting wine varietals, which are more likely to open new doors in wine consumption. Social media is a growing outlet for the wine industry and because Millennials are more likely to use these outlets than previous generations, they are also receiving and spreading the information at a faster rate. I’ve been told lots of times that us wine producers shouldn’t make wine for (a) market. What to do then? I don’t think it is as much a Millenial vs Boomer age thing as it is a “Wine Geek” vs “Old Guard” outlook thing. Wine drinkers of all ages have simply gotten more “geeky” when it comes to wine. It is no longer a status symbol or luxury but rather an interesting part of everyday life. While proportionally there may be more “geeks” in the younger generations, Boomers can be every bit as geeky if they want to. You’ve taken a great look at the shift in what it means to be a wine enthusiast. This may be less about Millenials and Boomers, though. While many younger people are leading the charge, this is just an exciting time to love wine. I sense an openness to finding really great vintages, without preconceptions. There is a transparency in process here that opens us all up to new and interesting experiences in wine. Having started the first wine bar in Chicago in 1979, this generational thing is just that, generational and quite cyclical. But it is not so much about age grouping as it is about age experience. Each cycle of wine experience is influenced by outside values, including the hospitality industry itself. Everyone growing up experiences alcohol consumption in their unique way. Restaurants and bars in the 60s were under the influence of the cocktail and of beer. Everyone coming of age had an “Old Mr. Boston Cocktail Book” and used it. Wineries in California were then mostly making the Hearty Burgundy, Chablis, Rosé, Claret style. There were not that many non-European single vineyard wines to consider. Or find on a shelf if you thought you wanted to consider them. Each successive generation has learned from the influence of ever-widening world travel through military service, work, vacations, television, the movies, and now the internet. Wine has crept into the American way of life slowly, as people learned to use it through their travels as it was intended, with food. The hospitality industry has followed along with its versions of these influences to interest its customers. One example: Where the old Italian neighborhoods used to be the only place for Italian food, now there are multiple nation-wide chains of not-so-authentic Italian places. That isn’t a complaint, those chains have sold a boat-load of Chianti and Soave. Wine is quite the recent passion in the US –just a short 50+ years or so. European producers have experienced The American in their cellars as a profit center. And have returned the favor by sending their wines to us by the container-full. As for the “stories” of a wine, the interested wine consumer is just showing his/her boredom with the industry’s fixation on “Gold Medal” and “90-pt” press releases for what they are, so much shallow information. How much “story” can be re-manufactured about “Two-Buck Chuck” anyway? It is usually the work of sociologists to find labels for the succeeding generations and then affix the appropriate names, sometimes ad nauseum. Beat, Me –aka Gen-X, Boomers (really Baby Boomers), Gen-Y –aka Millennials, Echo Boomers, Net Generation. All are supposed to identify the attributes of the latest group to reach adulthood. Some names don’t happen until quite late in their ascendancy. The Millennials are about claiming their place now. And they are defining themselves mostly. I have been to Pourtal in Santa Monica and Rachel Bryan gave great recommendations. She opened my eyes and in turn my friends eyes to be more willing to experiment with wines from around the world with a great price point. She said the younger consumers are also increasingly requesting natural and organic wines and now those of us over 50 are too. I highly recommend a visit to Pourtal and a tutorial from Rachel Bryan! Although I do agree that there is a difference between this generation of wine consumers and the previous one(s), I personally don’t think any special exceptions or treatment should be involved. As a young wine consumer, I’m just looking to be treated the same as everybody else on the market. Sure, younger people may look for different things when they’re tasting, such as unique varietals or biodynamic wines, but doesn’t that help balance out the wine industry’s supply and demand? This shouldn’t be about old verses new, older versus younger, etc – shouldn’t it just be about the wine? This article headline grabbed my attention right away as I was curious to see other points of view on this topic. As a relatively new merchant I have been careful to avoid quickly labeling and presuming I know buying preferences based on any demographical factor. Every time I think I can put someone in a “box” it inevitably backfires. I echo some of the earlier comments that brand/status focus is more of a determinant than age when it comes to an individual’s willingness to experiment. The hilarious (and frustrating) part of this is when a customer is focused on buying a status label even when it has an awful score.